Is Android or Windows Mobile the Best Business Phone? Many corporate customers around the world are asking, "Is Android or Windows Mobile the best business phone?" Several of these users may be coming from the perspective of a BlackBerry or iPhone, but they'd like to try something else. As with so many other purchasing decisions, deciding on the right business phone can largely come down to personal needs and preferences. There is no such thing as the "one size fits all" model for smartphones, just as there isn't the "perfect car" for everyone. So when asking, "Is Android or Windows Mobile the best business phone? ", you have to weigh the pros and cons of either approach. While the platform started out in relative obscurity, largely popular among the more tech-savvy enthusiasts in the marketplace, Google Android has grown to become a very viable smartphone operating system for just about everyone. Android phones are available from all the major carriers, including such notable devices as the Motorola Droid X, HTC EVO 4G, and Samsung Galaxy S Captivate. They each offer large touchscreens and plenty of functionality. From the perspective of a corporate customer, Android can also make for a great business phone. It comes pre-configured to work with several Google services, including Google Reader, Google Maps, and Gmail. This "in the cloud" functionality means that the phone is always connected, receiving updates in near real time. With applications and widgets that track currency exchange rates, stock prices, and other useful data, Google Android can make for a very powerful business phone. However, unlike BlackBerry, Android phones do not go through an intermediary server for security and encryption purposes. This can be a cause of concern for some people in the business world. The "always on" functionality is also both a blessing and a curse, depending on your perspective. Microsoft has long since established itself as a leader in corporate communications and business software. For many companies, Windows remains the preferred operating system for many of its computers. Microsoft has built a very powerful framework and ecosystem in which companies can get the job done. While Windows Mobile has been around for several years in several different iterations, it started to lose significant market share to Android, iOS (iPhone), and other alternatives in recent years. The interface was generally perceived as being not as user friendly, for instance, as some of the other competitors. That's why Microsoft completely revamped its platform with the creation, announcement, and release of Windows Phone 7. Given that it is a Microsoft product, Windows Phone 7 can provide fantastic integration with services like Microsoft Exchange, a system that many businesses use to power their communications. The Live Tiles feature on Windows Phone 7 allows the home screen to act like a series of dynamic widgets, providing "at a glance" information that is updated in real time. There is no need to fumble through messy menus anymore. However, Windows Phone 7 is still relatively new and it will likely endure some growing pains as it attempts to catch up to (and possibly even surpass) iOS, Android, BlackBerry, and other smartphone alternatives. So, is Android or Windows Mobile the best business phone? Moving forward, it is very unlikely that someone would want to buy a smartphone powered by Windows Mobile 6.1 or Windows Mobile 6.5. This is dated software and, given current market conditions, it's a dinosaur that can be easily forgotten. Windows Phone 7 is the new face of mobile at Microsoft and it shows a lot of promise. The interface is clean, slick, and functional. Google is not going to be outdone, of course, and Google Android will continue to evolve as a smartphone platform for years to come. It has come a long way in a very short time, offering fantastic applications, useful home screen widgets, and plenty of horsepower to handle your daily tasks. 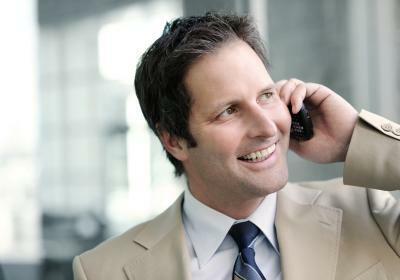 If you need a business phone, both Android and Windows Phone 7 should be among your list of contenders.